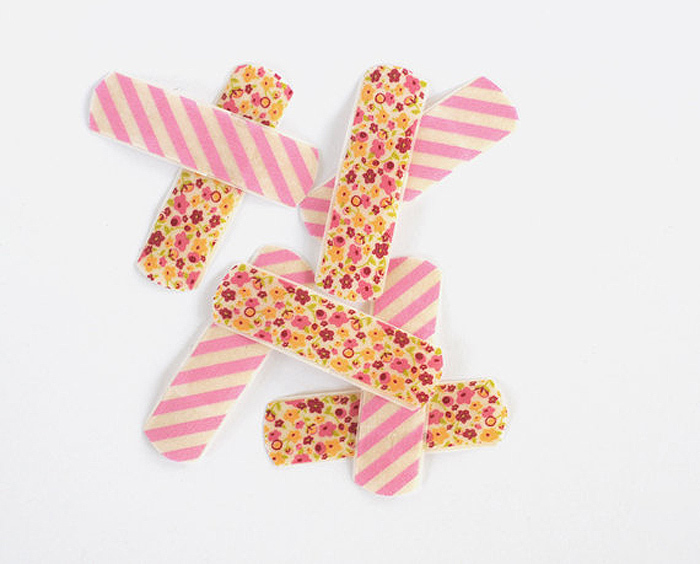 Pretty Strips washi bandages are latex free adhesive strips for both children and adults, and are a fun way to accessorize cuts and scrapes and make them more stylish! 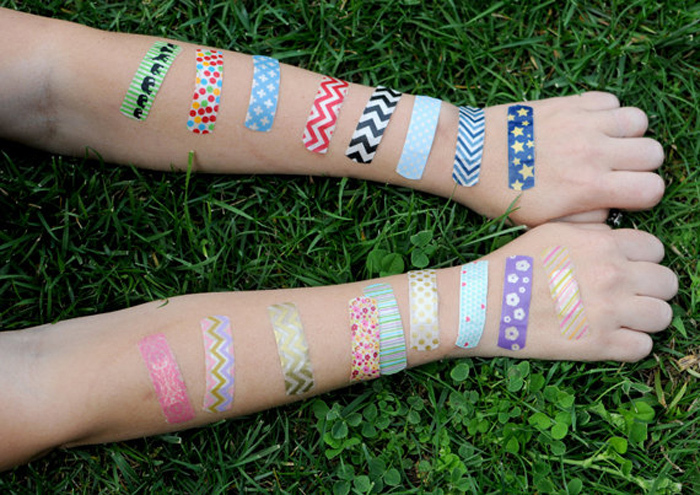 We’re told, while makers’ Amy and Kristin’s kids and their friends love to mix, match, and decorate their boo boos, it’s their girlfriends who swoon over the darling designs. See more at pretty-strips.com and their etsy shop, etsy.com/shop/PrettyStrips.